Guest blogger/photographer Mathea Kelley is back to share her latest update on our good friend Zenyatta. Thanks Mathea! Hope you guys enjoy! 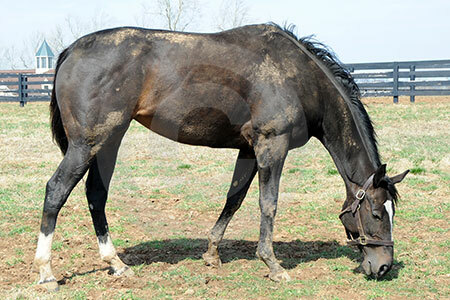 In the world of the Thoroughbred industry a birth at Winter Quarter Farm in Lexington, Kentucky on April Fools Day 2004 would prove to be anything but a joke. 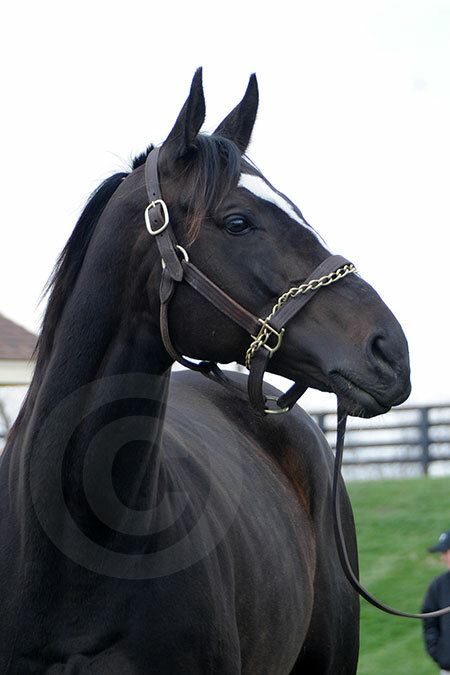 That is the day that the sensational mare Zenyatta was born. Little did the crew that watched the wobbly legged dark bay foal take her first steps know that they were witnessing the arrival of one of the greatest racehorses in the world. The hopes and dreams of owners, trainers, caretakers, fans and so many other people involved in Zenyatta's world would be rewarded untold times as they all watched her grow. Last week I had the honor of being invited to Zenyatta's seventh birthday party. Zenyatta spent the morning of her birthday relaxing in the paddock with her gal pals. She came in for a late lunch and had a bath and shine in preparation for the festivities later that afternoon. 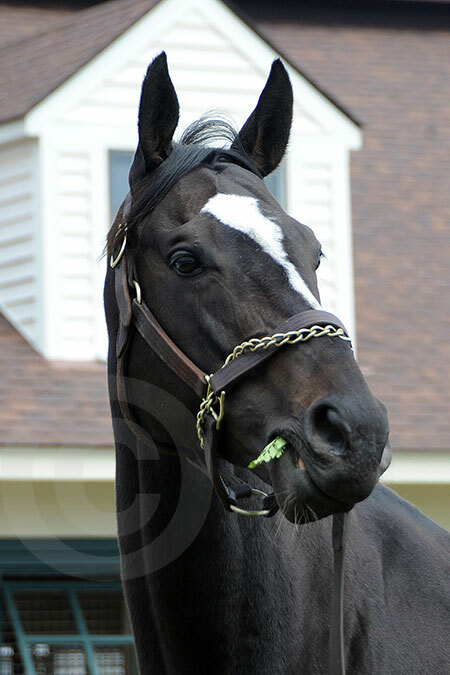 Zenyatta had received baskets of fruits, peppermints and countless cards from her adoring fans nationwide. A kindergarten class made a life-size card of Zenyatta complete with cotton balls to represent her white markings and black yarn for her mane and tail. The entire class signed the card. 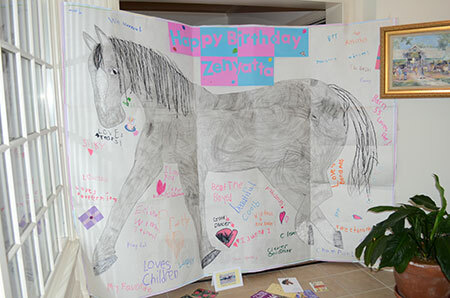 A special group of fifth graders from Ohio sent Zenyatta a basket filled with some of her favorite things. The outpouring of love for Zenyatta is amazing to witness. After "she" made some thank you calls, it was time to party. 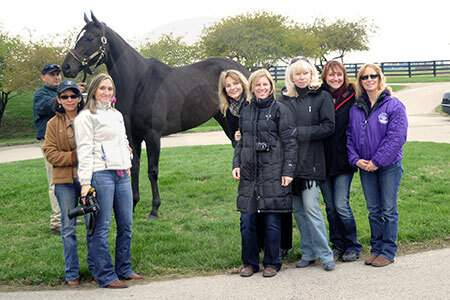 Owner Ann Moss and the crew from Barn 55 flew in from California to celebrate with Zenyatta. On the lawn in front of her barn, Zenyatta enjoyed kisses & cuddles and many fresh carrots presented to her by the party goers. The staff at Lane's End also received some treats, cupcakes decorated with crowns and buttercream icing in the Moss' racing colors. After her party Zenyatta went back to her stall for an afternoon nap. While Zenyatta rested, the crew from Barn 55 went to say hello to another Lane's End resident, Life is Sweet and see her new foal. Life is Sweet was more than happy to show off her new foal for the guests and allow pictures to be taken of her foal's antics. 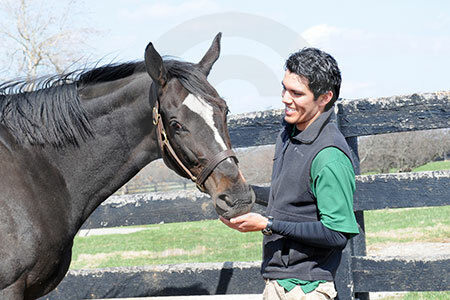 The remainder of the day was spent reminiscing and relaxing with Zenyatta. The California connections returned home later that evening with their many memories and pictures from a fun filled day. Enjoy the pictures below from a wonderful day on the farm. Zenyatta before getting cleaned up for her big party. Heading to the barn for bath time. Zenyatta's card from her kindergarten friends. Zenyatta gets a treat from one of her party guest, owner Ann Moss. Everyone eats lots of treats on their birthday. She enjoyed every one too. 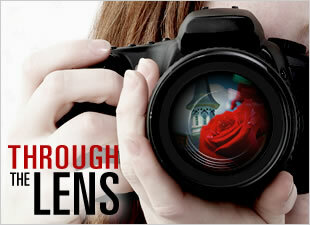 Picture time. Say HAPPY BIRTHDAY!!! Where's everybody going? I'm still eating. Life Is Sweet's new foal at Lane's End Farm. 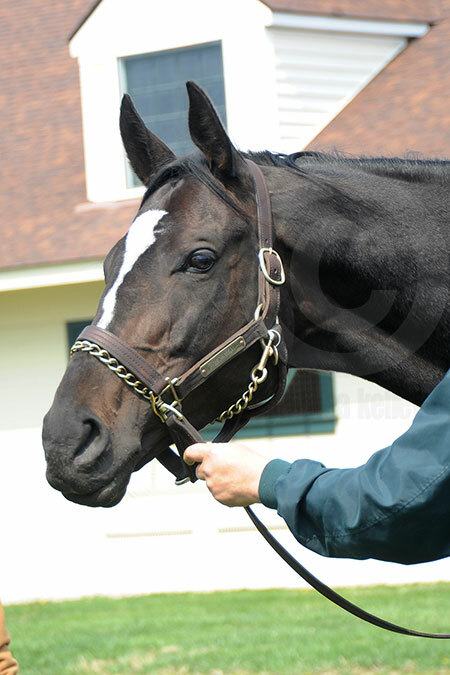 Keep visiting www.ThroughTheLensBlog.com for updates on Zenyatta and other great mares.